At over 700,000 visitors per year, Buntzen Lake is one of the busiest recreation areas in the province of British Columbia. 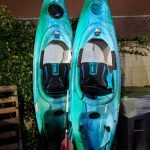 It compares to other very popular recreation areas such as Mount Seymour on the North Shore, and Cultus Lake near Chilliwack. Buntzen Lake is a recreation area operated by BC Hydro. The lake itself is a reservoir which provides water to two power generating stations on Indian Arm, and a steam generating plan (Burrard Thermal) on Burrard Inlet. The lake is connected by a 3.6km long tunnel through Eagle Mountain from Coquitlam Lake. The tunnel is over 100 years old. The lake is frequently used as a location for filming, notably playing the part of Lake Placid. There are no known crocodiles in Buntzen Lake that we know of. The lake is surrounded by equestrian, horseback and hiking trails on all sides. The actual BC Hydro reservoir management area is quite small, extending just a few hundred metres from the lake shore, with the trails rapidly extending into Indian Arm Provincial Park, and Belcarra Regional Park (a Metro Vancouver Park). 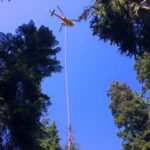 Coquitlam SAR has to work closely with all three land managers (BC Hydro, Metro Vancouver, and BC Parks) to plan for responses to this area. 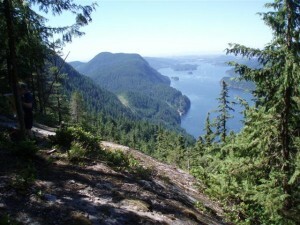 The trails from Buntzen Lake consist of a variety of routes from simple 15 minute walks, to day long mountain climbs. Many of the trails were built and named by Halvor Lunden, and one bears his name. Possibly the most famous and travelled trail in the area is the Diez Vista trail. Known to be snow free most years, this trail is a destination for hikers year round, and is named for the 10 viewpoints on the route. It follows a ridge to the west of Buntzen Lake, and above Indian Arm and has views of Burrard Inlet, Buntzen Lake, and northern Indian Arm. The Halvor Lunden trail consists of a traverse of Eagle Ridge and all of the peaks along the ridge. This is a committing route, ascending over 1,100m to the top of the ridge (an elevation comparable to Mount Seymour). You can start the trail by ascending either the Dilly Dally Trail, at the extreme north end of the recreation area, or the Swan Falls trail, both of which are extremely steep. Once at the top of the ridge, which has snow on it until July, the only way to exit is to go back down the way you came, or to complete the traverse of the ridge. The distance is 25km, and takes between 10-12 hours, but can take much longer in the snow. The trail descends via the Polytrichum trail near Buntzen Creek at the south end of the ridge. The trails around Buntzen Lake consist of the Lakeview Trail and the Buntzen Lake trails. These take routes near the lake, and offer access to north beach. These trails cross numerous bridges and steep terrain but are well maintained. All hikers are warned that they will have to walk back around the lake. Other trails in the area are shorter and connect to adjacent parks and recreation areas including Eagle Mountain and Belcarra Park. The types of responses Coquitlam SAR does in this area are very widely varied. The classic missing person call to this area historically has been when the Wardens call the RCMP for a car in the parking lot at closing time. In recent years, this type of call has declined as people tend to phone to report themselves lost. It’s worth noting that despite being so close to Vancouver, cell phone coverage in this area is very bad, including in the parking lot. There is still a pay phone near the Wardens office. 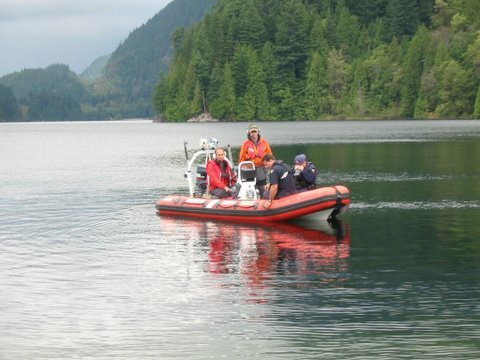 Other calls include drownings in the lake, including a free diver who died while attempting a deep dive. 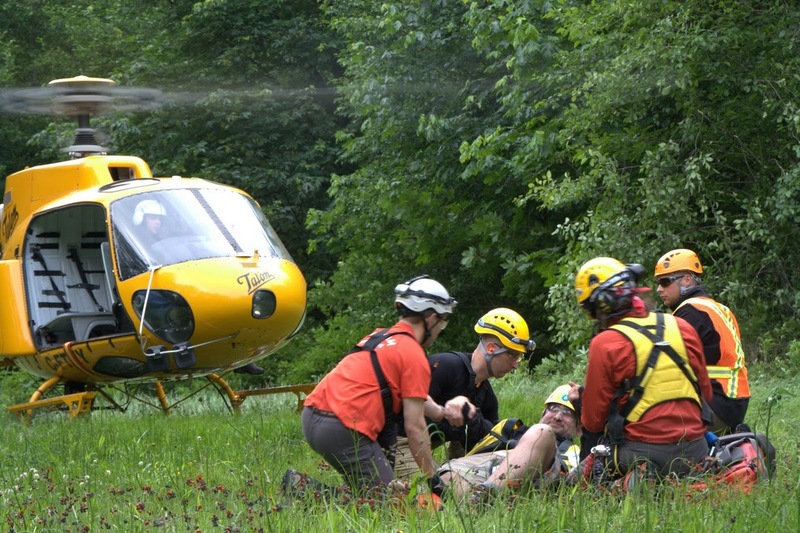 Heart attacks, injuries sustained while cliff jumping, sprained ankles, dislocated shoulders and knees, head injuiries, and at least one drug overdose. 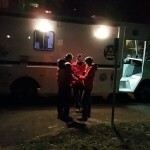 It is common for us to rescue dogs with their owners in this area, and several times the dogs have been injured or exhausted and unable to continue. 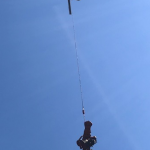 In one case, members of Coquitlam SAR carried “Gus”, a very large mixed breed on a stretcher for six hours on the Swan Falls Trail. 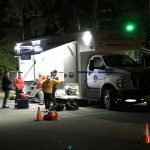 Many rescues on Eagle Ridge are because hikers lost the trail in snow, were unprepared for severe weather such as snow and cold temperatures, and did not allow enough time. 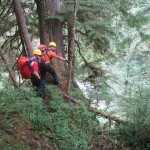 This trail is a high elevation mountain trail with significant hazard, and is difficult to escape from. 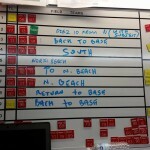 Anyone taking transit to this area is cautioned to leave a trip plan. 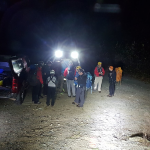 If you are reported missing and we do not know where to search, the very complex and difficult to access wilderness in this area will make it very hard for us to find you. Following are some recent task reports from Buntzen Lake. 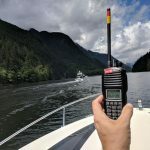 Two rescues at Buntzen Lake: It’s Still Winter!- With two responses this weekend we'd like to remind people to enjoy spring but remember to treat the backcountry like it's still winter!